More often than not, when I capture an image, I already have in my mind if it is going to be black and white or colour. 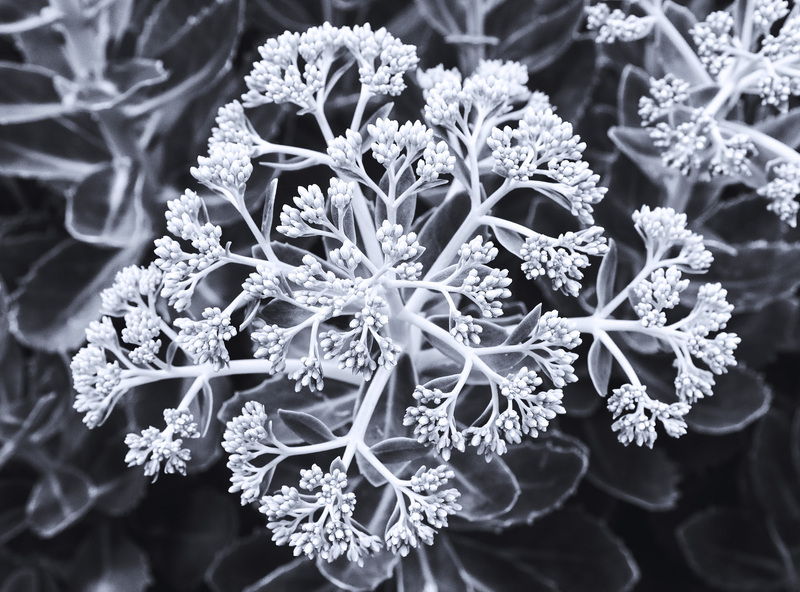 This plant (I think is a type of Sedum) was intended to be black and white but I did hesitate when I saw the file as it is a wonderful monochrome of greens. It’s shapes I found very beautiful and reminded me of some William Morris designs. Robyn from Captivate Me included me in the B&W Challenge where you post 5 consecutive B&W images and nominate a person to take up the challenge with each post, so this is my Day 3 of 5. In turn, today I am nominating StillWalks, whose images are taken from areas where I grew up. I must stress, this is NOT a have to participate challenge but something that might be fun, but only if you have the time and/or inclination and feel comfortable with it. It is also my submission for MMC 48 curated and hosted by Leanne Cole. Sitting on the fence… day 2 of 5. Oh, this is very cool… When I shoot B&W, it is usually with film..
Beautiful, I really like the toning applied to this image, fantastic. Cheers Ben, glad you liked it! Oh yes beautiful and I definitely see William Morris!! Especially in the green tones. Morris is a favourite designer of mine. Definitely!! I love his designs and studied him as part of my design course. He was such an interesting and talented man. Wonderful detail Lisa, a lovely effect……. so tactile!! spectral and beautiful- at the same time great detail! !